Are you looking for a break from dorm food? Want to impress a date without breaking the bank? Or maybe you’re planning what restaurant to take your family when they come and visit in the fall. Well…Look no further than The Edgewater. 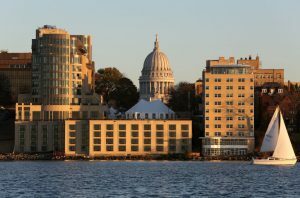 This hotel and restaurant will provide an amazing view of Lake Mendota while you enjoy phenomenal food at a decent price. The food is sourced locally from sustainable farms, meaning you can enjoy your food and feel good about eating it. Breakfast, brunch, lunch, and dinner are all available, with the doors opening at 6:30 am and closing at 10:00 pm. The Edgewater’s menu is prepared by Executive Chef Joe Heppe who has cooked at various restaurants in Chicago. 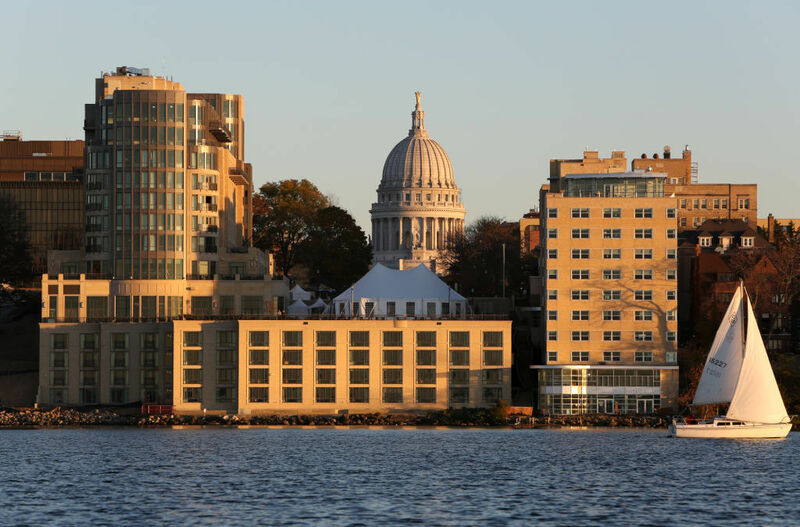 The menu features classic Wisconsin cuisine, like a fish fry, which will give you a true taste of the Midwest. In addition, there are also more expensive items such as steak dinner’s if you’re feeling fancy. After a delicious dinner, there’s no better way to conclude a night that taking a walk down beautiful Langdon St. There are beautiful views and historic houses. 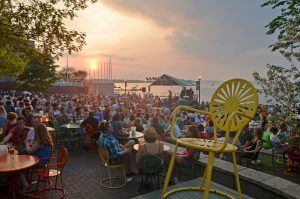 Walking down Langdon will take you to the Terrace, which provides a wonderful way to end your summer night. Has the Wisconsin cold made a post-dinner walk down Langdon impossible? The Edgewater has you covered. The hotel is the perfect location when the weather starts getting colder. 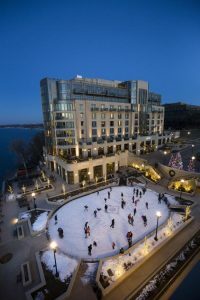 During the winter, the hotel offers ice skating on an intimate rink located on steps from the hotel.